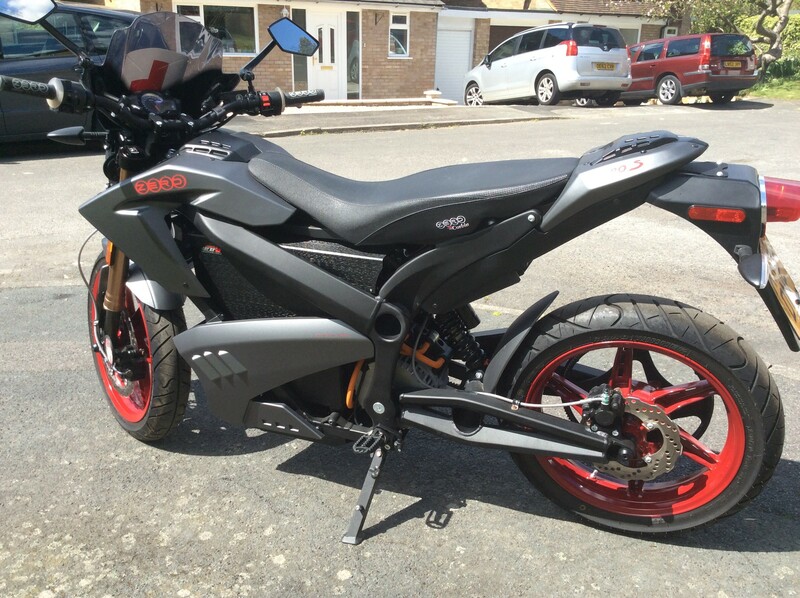 This is the only Zero S Electric Motorcycle currently available in the UK. 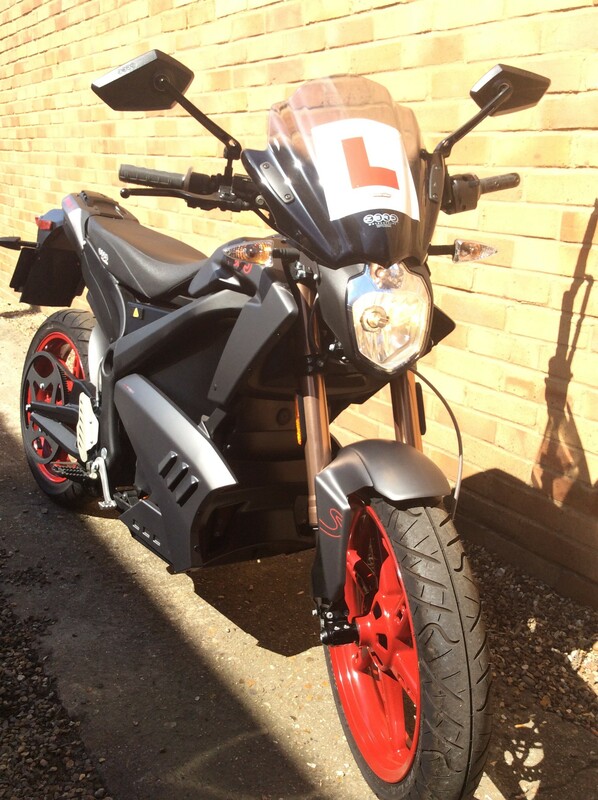 It’s road legal on a car licence (with a CBT for 2 years ). 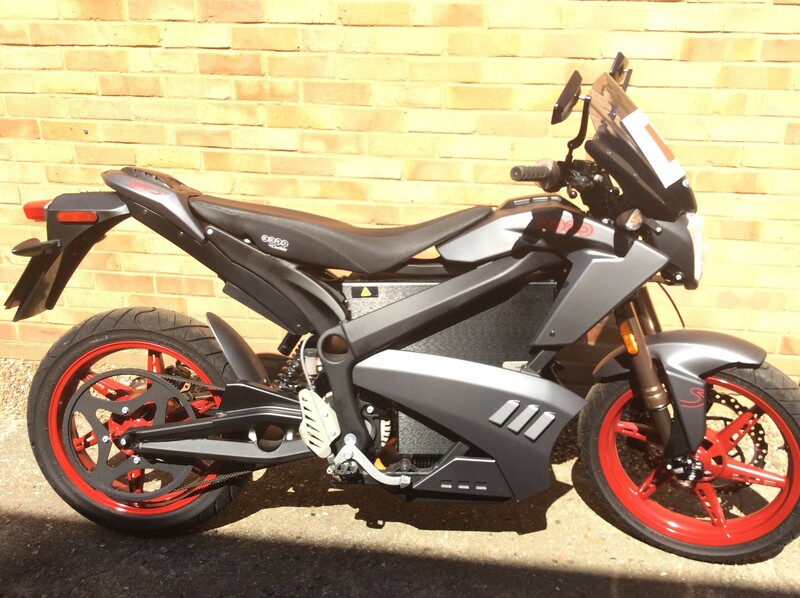 A great opportunity to acquire one of a very few bikes imported into the UK with probably the lowest mileage available. It’s the larger battery ZF9 battery pack which retailed at £12000. It has the small fairing fitted and comes with soft luggage. The bike does not need a special charger as it plugs in to any normal plug socket. Range is about 70 – 120 miles depending on riding style. Top speed is published at 88 mph but designed as a commuter bike. One gear no clutch, just twist and go! Stored in a dry garage and always kept on charge. The Zero S is the world’s first available mass-produced electric motorcycle capable of exceeding 100 miles on the EPA’s UDDS range test. The Zero S features a completely new powertrain that includes a brushless motor capable of achieving speeds of up to 88 mph. New state of the art battery cell technology, regenerative deceleration and a power pack that is designed to last the life of the motorcycle. Offering customers the ability to select ECO or Sport, the new ZF9 power pack configurations give riders the ability to respectively achieve up to 114 miles according to the EPA UDDS. Revised frame geometry, new optimized Zero designed rotors and a larger front brake master cylinder give Zero Motorcycles better handling and more stopping power than ever before. Its a one owner bike that has had all the warranty updates done. Part Exchange welcome.